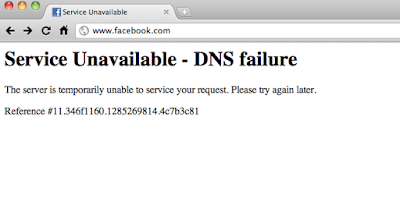 Facebook is down! So many users have being unable to access the website for almost an hour now, and as we type, it's still the same. Hundreds of people around the world have also said they are experiencing the same- not being able to log into the website or app via mobile phones. Some people in other countries however say, they are logged in and not experiencing such, but Nigeria is one of the countries where the social networking site is currently down.